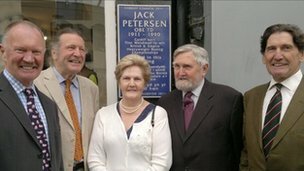 Last Friday (2nd September) I was immensely proud to attend the unveiling of a Blue Plaque in St Johns Street Cardiff to commemorate the life of my father Jack Petersen, who was born 100 years ago on this day in 1911. Members of our family attended this great occasion, including my three brothers John, Michael, David and our sister, Elizabeth as well as our wives, partners, children and grandchildren and friends of the family. The unveiling was made by the Lord Mayor Professor Delme Bowen who was accompanied by the Lord Mayoress. He made a glowing tribute to my father and his life as a champion boxer, Councillor, soldier, sports administrator and above all a family man whose roots remained in Cardiff his birthplace and home town. It was a truly memorable day for all the family. Let us home the example he set for young Welsh sportsmen and women in the 1930’s will live on for ever so that Wales can produce more World Champions like Dai Greene and Tom Jones who so personify the spirit and essence of my fathers philosophy on life. Full story and images available here. On 2nd September a blue plaque is to be unveiled in St John’s Square, Cardiff by the Lord Mayor of Cardiff to honour the achievements of my father, Jack Petersen, the famous boxing champion. 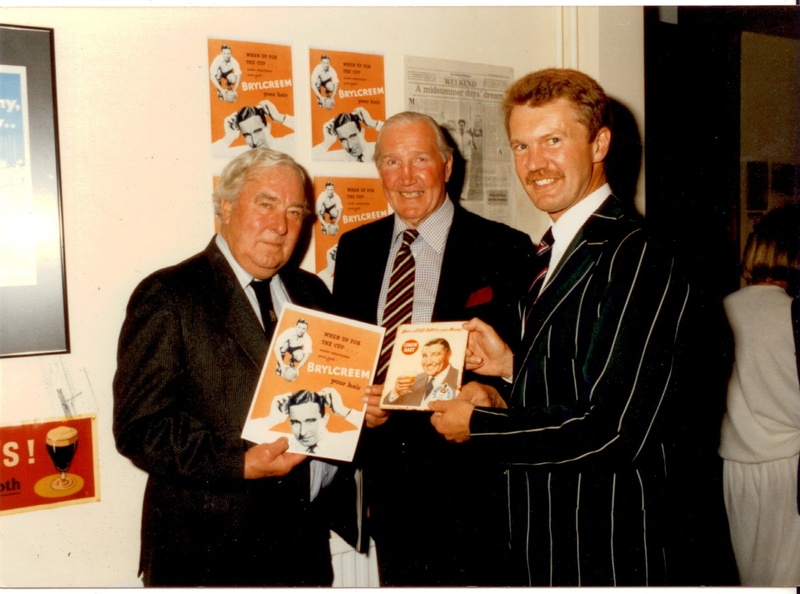 It would be wrong of me not to mention this on our company blog as so many readers know of my father’s sporting exploits and his love of Cardiff where the Council is kindly honouring him in this way on the anniversary of his 100th birthday. His record in the Boxing ring cannot be equaled – achieving 35 wins out of 38 professional fights and becoming British LightHeavyweight and Heavyweight champion before the age of 21! He brought hope and pride to the whole of Wales in the dark days of the depression of the 1930s and it is therefore no wonder that over 40,000 people turned up to watch one of his fights in the famous Ninian Park against the German Heine Muller, whom he beat in two rounds! Unfortunately at the age of 25 due to injuries to his eye he was forced to retire. However he maintained his association with boxing and was elected the President of the British Boxing Board of Control, an honour no other fighter has achieved. 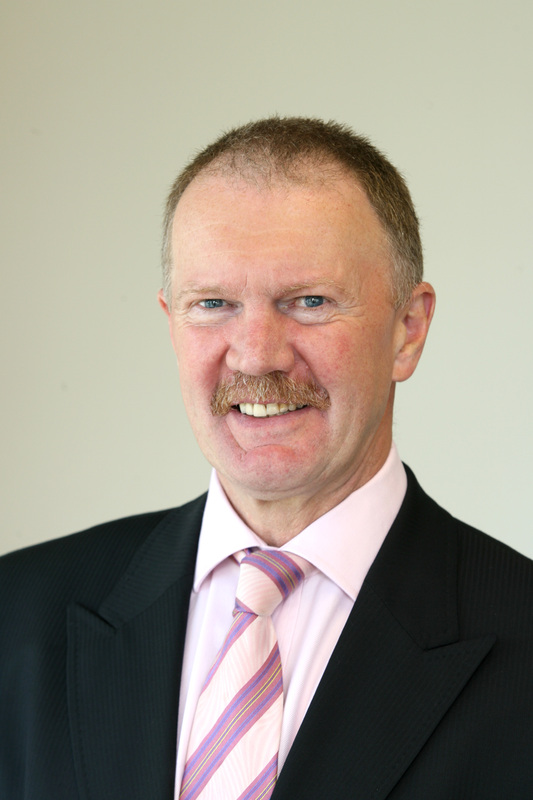 He was awarded the OBE for services to sport after serving on the Sports Council for Wales. Born in Cardiff on 2nd September 1911, he would have been 100 years old next Friday had cancer not cut short his wonderful life at the age of 79. An amazing man and quite the best father you could ever have. He is an inspiration to many generations of Welsh Sports men and women. I hope you will join me in commemorating this Welsh Sporting Hero. Petersens PR, the award-winning PR, events and marketing agency based in Pentwyn, Cardiff has been appointed by health, education and local authority caterer, Tillery Valley Foods to handle an integrated marketing and PR campaign. Managed by Site Director, Phil Hall, Tillery Valley Foods, which is part of the worldwide Sodexo Group, employs over 350 local people in its food manufacturing factory in Abertillery. The company supplies nutritious meals to the healthcare and education sector, in addition to local authorities, whilst carrying out a sustainable and environmentally responsible business. 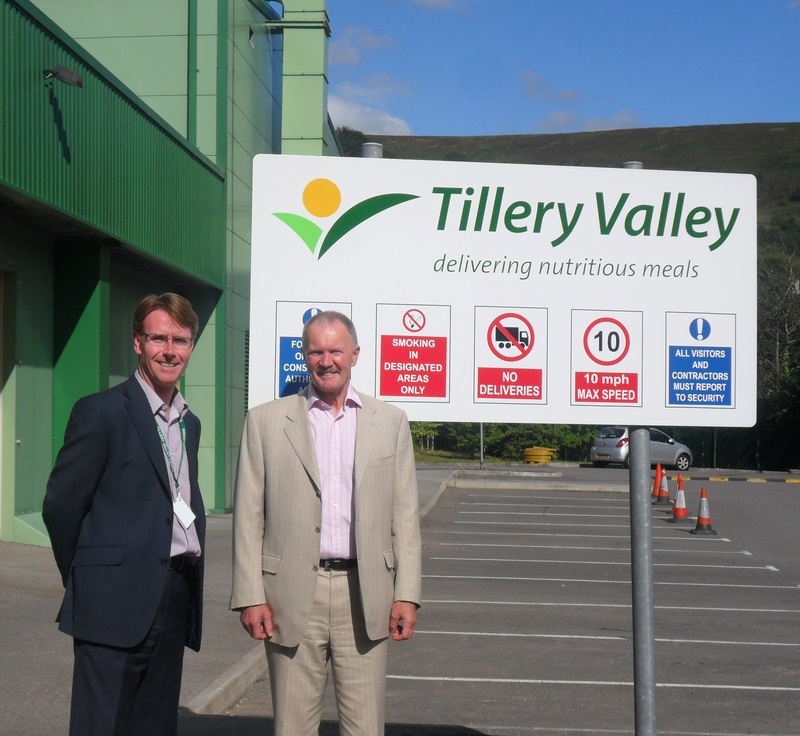 Tillery Valley Foods has achieved a number of notable awards and accreditations including an Investors in People Award, an ISO 9001 (2008) accreditation for the development, manufacture and distribution of chilled and frozen ready meals and the Carbon Trust Standard (2010). Tillery Valley Foods has selected Petersens after a competitive pitch on a retained basis to handle the company’s public relations, whilst also carrying out key marketing activities such as website development. 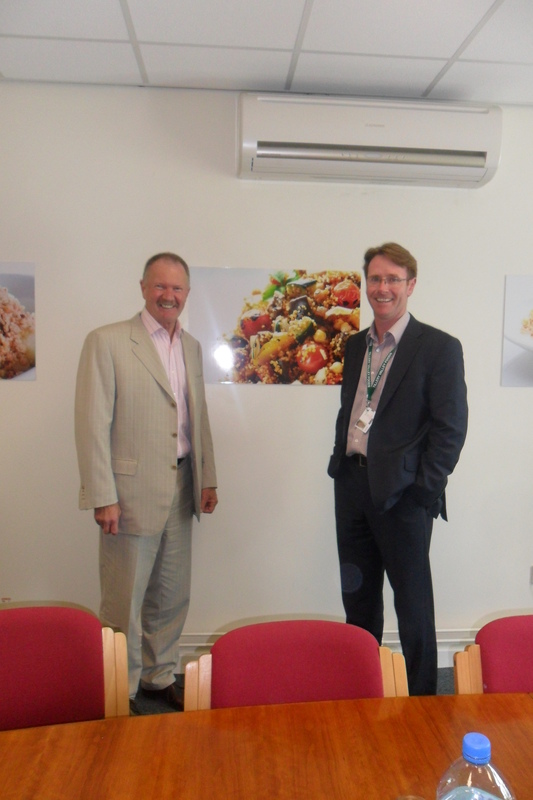 Whilst delivering to 180 hospitals in the UK, with only three inWales, the food provider believes the strategy will boost new business, particularly in its home country. Set-up in 2003 by Rob Petersen, Petersens is a small successful agency offering a number of key services including public relations, marketing and events management. In addition to Tillery Valley Foods, the company has succeeded in a number of notable client wins this year, including Newport-based engineering firm Cintec International and Llantrisant-based Sigma 3 Kitchens and Bedrooms. “We believe we have an excellent business here in Abertillery, our food is delivered on time and to an extremely high quality and above all our staff are happy and enthusiastic about their part in the process. However, our problem lies with telling people about our success and this is where we trust Petersens can help. I fully support Sion Barry’s comments on Cardiff Airport in his Friday File piece today in the Western Mail. As someone who has both travelled from the airport on many occasions and helped with numerous marketing and public consultation projects over many years, I do sympathise with Patrick Duffy and his team. The airport must have real support from its stakeholders if it is to breakthrough and become a real transport hub for South Wales which is so necessary if we are to be a true International City Region. 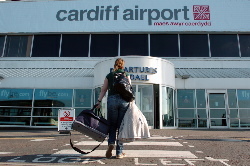 The Welsh Government must find a way to prioritise funding support for the Airport to develop links with International Carriers such as Delta. Every business in this world needs investment to grow and the Welsh Government must take the initiative and put money on the table. When it does, I am convinced the Airport can truly deliver for everyone’s benefit! My great grandfather was a Norwegian sailor who arrived in Cardiff in the latter part of the 1800s. Born in Bergen he sailed the world – and like many of his countrymen settled in Cardiff where he had a warm Welsh welcome. It is with this distant relation in mind that I, along with the rest of my family, feel the greatest empathy with the people of Norway on the tragic events of last week. A nation united in grief and yet defiant in upholding their unique way of life can only deserve the greatest admiration from all of us. Good luck, Lykke til Norway! 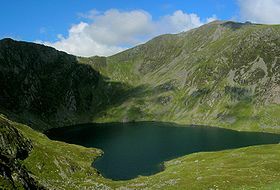 On my first visit to Aberdovy my host Graham Johnson suggested I might like to accompany him on a ‘stroll’ up Cader Idris on one fine day. Some time passed and before I knew it the challenge was set. On Saturday 4th June we ventured up this stunning Welsh mountain. Once we reached the Summit Penygadair two and half miles later passing many climbers on their way down, we had a magnificent view of the Snowdon massif, the Lleyn Peninsula, the hills of Shropshire and I think I even saw the coast of Ireland!!! Descending the mountain was much more painful than going up but the sense of achievement as we enjoyed our barbecue of Welsh Lamb whilst overlooking the Devey Estvary, was profound! May I recommend the challenge to any fit active person, but be warned it’s not a stroll but an extremely good work out! Cardiff Needs to Look at the Bigger Picture for Greater Economic Growth? Referring to Sion Barry’s excellent piece in todays South Wales Echo. I totally agree with the points he makes. As a proud Cardiffian who has lived and working here for nearly 40 years, we can make our city region an economic power house to compete not only with other regions of the UK but also within Europe and the world. We need powerful figures in both private and public sector to grasp the opportunity now. Lets see some bold imaginative leadership from our elected representatives together with succesful businesses. We must not keep looking back at Cardiff’s great past, instead we need to put in place new structures and strategies to realise the dream and vision Sion refers to for our own city region. Following Jon House’s, CEO Cardiff Council, speech at a recent Cardiff breakfast Club meeting, and the exciting news announced today in the South Wales Echo of the Council and WAG’s vision to transform Cardiff into one of the UK’s powerhouse, financial cities, the agency is delighted to support the campaign to further the case for the Cardiff City Region. With the news of the H.M. Governments decision to electrify the rail line from London to Cardiff and to explore every opportunity to electrify the Valley lines, we have a real opportunity to make Cardiff City Region a reality. 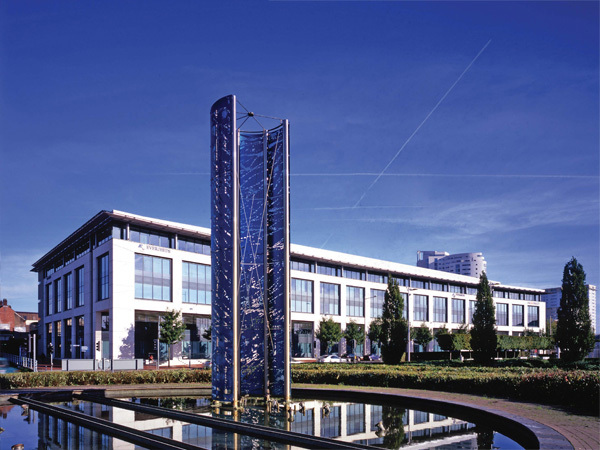 Let us hope that a decision can also be made to fast track the development of park and ride stations such as Cardiff Hub at the fast developing St. Mellons Business Park. By improving the basic transport infrastructure in the area, the Cardiff City Region concept can be realised. It is vital for potential investors in the region to have fast transport links for customers, staff, suppliers, tourist visitors and all travellers to move freely, economically and safely to, from and around our city region. 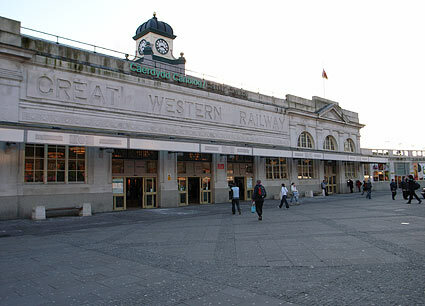 In addition, with Jon’s wish to see a revitalised Cardiff Central Station and inner business district, we can then give our visitors to the capital a welcome that befits a 21st century modern, vibrant, cosmopolitan city region. It is not just the potential medial winners who are pulling out all the stops for ensure success in 2012. At a recent lecture, organised by the Cardiff Business School, given by Morag Stuart, ex head of Procurement at Olympic Delivery Authority (ODA), I was fascinated by the size of the task which confronted Morag, an ex-Cardiff Business School student who headed up the ODA purchasing activity from 2000-2010. 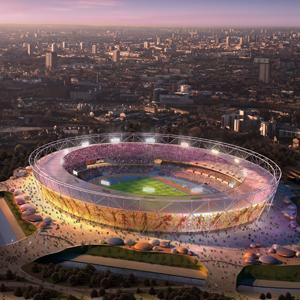 For example, the task of delivering the construction programme was equivalent to over twice the size of London Heathrow Terminal 5 in half the time!! With the games less than 500 days away there still is more to be completed but already the Olympic Park is over 60% complete and the East London Skyline is now being dominated by the project. Morag explored the challenges faced and the dedication/professionalism of the contractors involved. She maintained that there was still time for the Welsh Business Community to win business from the main contractors and follow the lead of other successful Welsh companies such as Cardiff-based EuroClad who have won over £3 million worth of work.